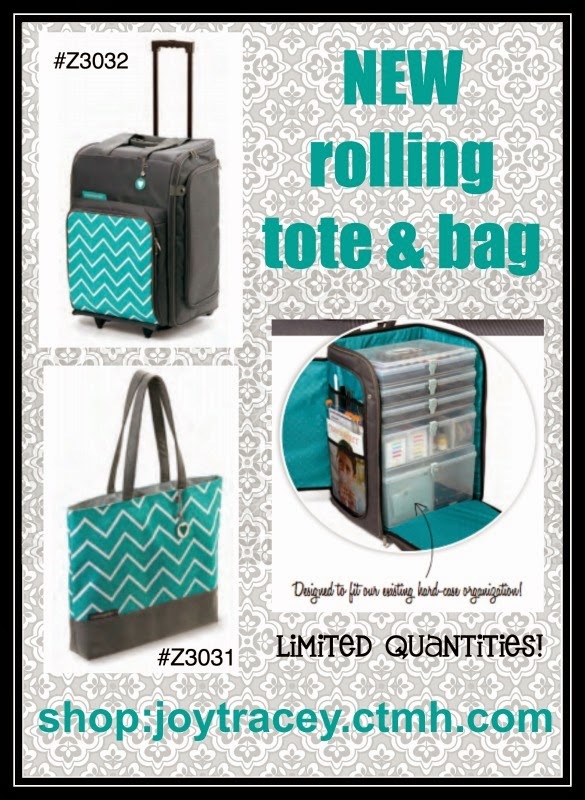 The rolling tote and bag from Close to My Heart are back in stock! There are limited quantities so you want to order quickly! I have not been to a crop. The totes look like they hold quite a lot. I do not go to crops.....but before I had lots of shelves and storage cabinets in my craft room I used a roll around to keep my things and it worked great so I would suggest this for someone who just is looking for an organized way to keep all of their crafting suplies. Thanks for sharing. YOU so ROCK!! I frequently go to crops and this would be a great way to haul everything there and back. I love this stamp set and it will go perfectly with my other hexagon set. I have only been to one crop. I don't go to crops but this looks good for storage. scrapbooking and card making at home. That would make great storage. Yes I love crops at least once a month. I have never gone to a crop, but would love to try it. I have never been to a crop, but there is a family owned scrapbook store that has overnight crops all the time and I have considered going. Maybe someday!! I have never been to a crop before! I do go to crops, all the time. Having something like this would definitely make transport easier. I wonder if the rolling container would travel well on an airline? I'm taking a trip and this might work well to transport my supplies. 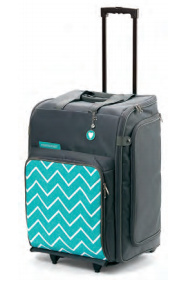 Anyone know of anyone who has checked this bag on an airline? I've only been to two crops... mostly because I don't know a lot of crafty people nearby. But I admit it's also because I'm so easily distracted and I don't get out much so when I do I'm too busy looking around to see what other people are doing to finish anything I brought lol. That said I do go to my spinning guild every month, but I can spin and walk and talk at the same time so it's a different sort of crafty thing : D.
But anyways... I was going to say.. this tote is awesome and many of the gals (who scrap) would LOVE this rolling tote.. but it also would be perfect for ANY CRAFTER (our group is very diversified with crafts, between jewelry making, florals, sewing, painting, card makers and scrapbookers'..) and I'll tell you... ANY ONE OF OUR CRAFTERS' could use this with out a bump in the road... would hold lots' of my "jewelry components", floral pieces I need for bouquets, sewing goodies, painting supplies, yarns.. even the Town Historian in our group could use this for her supplies of paper on info/history stuff..... ohhhhhhhhhhh myyyyyyyyyyy... the possibilities are endless... Thanks for the give~away... L.r. Smith from facebook!!! I went to two crops this weekend! One was Friday night and one yesterday through last night. Both were at two different churches. 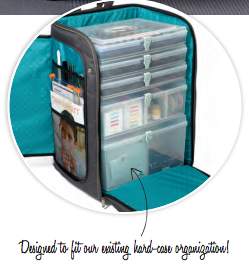 This rolling tote would be very helpful transporting and storing scrapbooking things to crops and for just storage. Thanks for the Giveaway! Hope you are keeping warm! Hikari's stomach barbour outlet sale has a shadow, barbour factory shop such as the size barbour outlet sale but also is a hard barbour sale outlet nut to crack, meat AIDS did not little old blood taste. He did not come here for barbour outlet sale help, but the transport of food. You sick. cheap to use a barbour outlet sale little perspective, to see this guy stomach to eat something, how is there such a bloody taste, the look surprised not help.